I’m reaching the Middle Ages in my genealogy research. This is one of the tidbits of information found by another researcher, Wilben Dahl, He’s writing about the prevalence of Heraldry and Coats of Arms. Wilben DahlWritten names are rare because few people at that time knew how to read or write. Often even kings lacked that ability and employed Scribes. The design was a method to let someone know who you were before reading and writing, became more common such as after the introduction of the printing press in 1450. 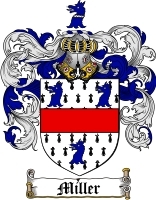 Heraldry is complex and much like the Egyptian Hieroglyphics, which relied much on the cognitive powers of the populace during their periods to be understood. It’s amazing that you can get that far back!